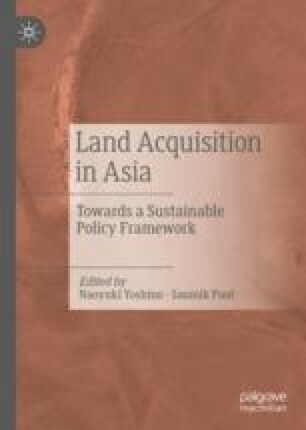 The recent political upheaval transgressing from the industrialization drive through forcible land grab in many parts of Asia (India, Indonesia, Nepal and the Philippines in particular) points to the need for a sustainable policy—a framework that results in a positive sum game, benefiting land owners without hurting growth prospects. Combining the tools from the fields of law and economics, we propose land trust or land lease for the development of infrastructure investment and industrialization purposes. We argue that this is one of the best ways to increase the rate of return to invite private investors into infrastructure investment. Through evidence from the success stories of land trust initiatives in many Asian countries, including India, we aim to showcase the relevance of this alternate method.